Platelet-rich plasma (PRP) therapy is a treatment used to aid healing and speed recovery by injecting platelet-rich plasma into areas that have experienced trauma. PRP therapy can be combined with different types of surgery to improve healing and speed recovery. At North West Plastic Surgery Associates, Dr. Stephen P. Hardy offers facelift with PRP to help patients enjoy a faster recovery with enhanced results. Faster recovery and enhanced results are just two of the many benefits of PRP therapy, making it a popular treatment for our Missoula, MT patients undergoing facelift surgery. Find out more as we discuss PRP therapy and its benefits. Platelets are harvested from the blood as they aid in healing by helping the blood to clot and contain growth factors that help the cells regenerate. Accordingly, adding PRP to areas of injury can help boost the body's ability to heal. Improved healing is a significant benefit of PRP therapy, but it's not the only benefit. Here are just a few of the many benefits of PRP therapy. Injecting platelet-rich plasma into injured tissue boosts the regenerative properties of the cells for improved healing. 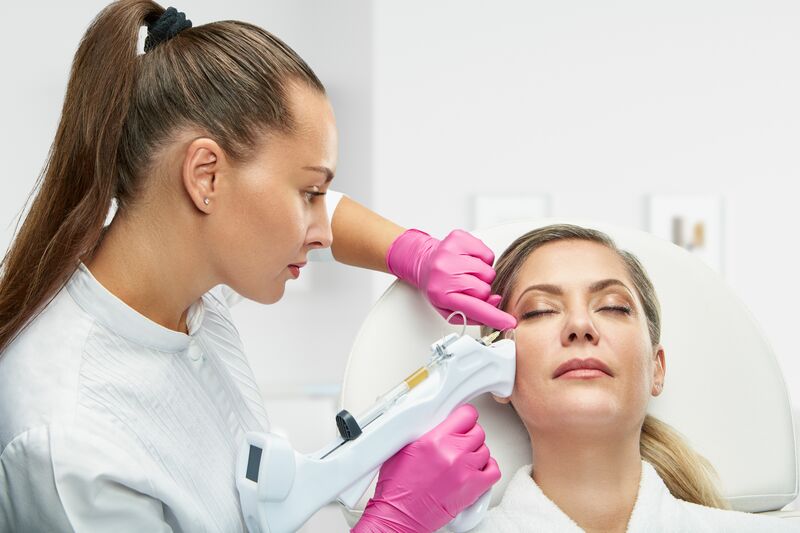 When combined with facelift surgery, PRP is injected into incision sites, near sutures, and beneath the skin to help the tissues heal faster and with better results. Another benefit of PRP therapy is reduced scarring. This is especially beneficial for those who are undergoing facelift surgery and would like to minimize the appearance of visible scars. PRP therapy increases the number of platelets in the tissues, which can help speed healing for a faster recovery after surgery. Combining PRP therapy with facelift surgery can help reduce swelling, allowing patients to see the results of their treatment sooner. Because PRP therapy increases the number of available platelets at injection sites, many patients who have PRP therapy experience less blood loss. Bruising is caused by injury to blood vessels within the skin. Injured blood vessels essentially bleed into the tissues, causing the characteristic purple color seen in bruising. PRP therapy helps decrease the amount and severity of bruising by increasing blood clotting factors and decreasing blood loss. Many patients who have PRP therapy combined with facelift surgery notice improved skin texture. Many see smoother, tighter skin and improved skin volume. To learn more about PRP therapy or to find out which treatments are right for you, we invite you to schedule a consultation with Dr. Hardy.